Lot G.02-06 Ground Floor, The AmpWalk, 218 Jalan Ampang, 50450 Kuala Lumpur. On Jalan Ampang, from Jalan Tun Razak go towards Ampang for about 1km. The AmpWalk is a mall on the left side, after Bermaz motor showroom. 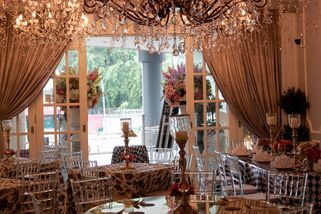 Step into this Malay café and you will be stunned by the gorgeous chandeliers and amazing flower bouquets that fill the space. 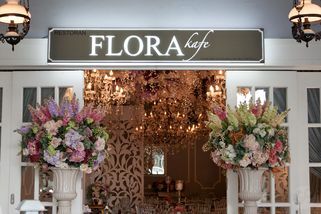 Started by a florist and wedding planner, Flora Kafe will delight both the office crowd and families with its uniquely charming décor. 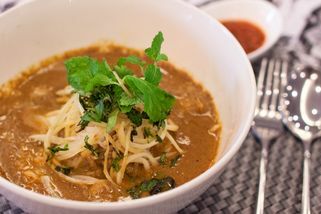 The food is good local Malay fare with roots in Johor, as can be seen by its crowd favourite "Laksa Johor". 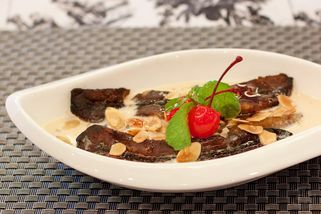 There are several nostalgic desserts such as Pisang Sira and Ubi Rebus, and of course an extensive list of local drinks, coffees and juices. In addition to a buffet several times a week, the café also specializes in events and small weddings. 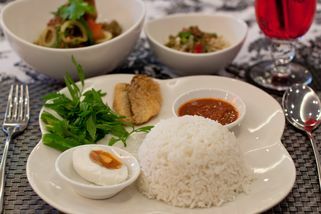 Actually i love all the food here, so delicious, and gorgeous.. The most i like it is the ASAM PEDAS JOHOR IKAN JENAHAK.. mmmmm.. yyyuummmyyyyy,!!!! "NASI GORENG BRYANI MANTAP !!" Tempat ini mempunyai decoration yg cantikkk di penuhi dengan bunga-bungaan sangat ..
sedap mata memandang ..syoookkkk nya ! 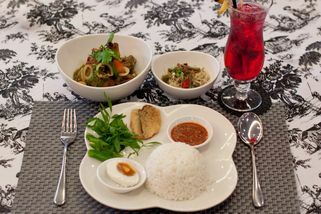 Try the place with your family for that weekend lunch, or with your special someone for that romantic dinner. 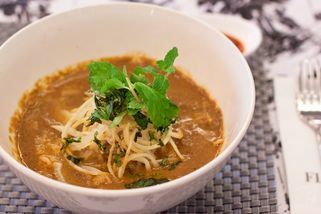 Saya menyukai laksa johor disini kerana kuahnya yang pekat, rasa sungguh asli dan berlemak...ditambah pula dengan dekorasi yang sungguh menawan dan berwarna-warni.. membangkitkan emosi romantik. Saya pasti akan kembali!